How can I add colleagues to my course? NB! This action has changed! Nobody can add participants to course - teacher can only change role of participants in course! Following actions should take place if you want to change the role of participant. 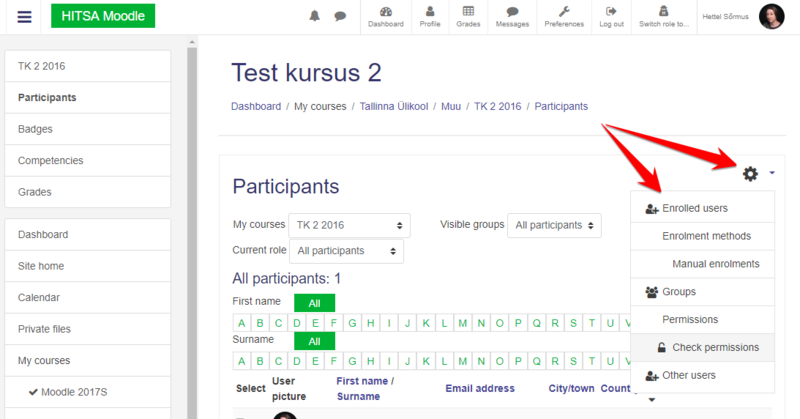 Now you should add to user another role: teacher (õpetaja) instead of student (õppija).